Although fairly new in the smartphone market OnePlus is already standing out from the crowd with its product - the OnePlus One gaining increasing interest. The Chinese manufacturer seems dedicated to bringing what it sees as a better Android experience than the one offered by big market leaders. Its device is not only an impressive piece of hardware, but is also breaking new ground by delivering a Cyanogen build of Android out of the box. The team behind the smartphone has actively been working to improve its product as much as it can. The previous OTA update brought about an enhanced camera experience by adding Clear Image technology as well as the ability to capture RAW photos. Now the guys at OnePlus have revealed that the February update will concentrate on delivering improved audio quality to One users. The manufacturer recently struck a deal and partnered with Waves Audio, the team behind the innovative MaxxAudio technology. You might remember their work from the Oppo Find 7, which also received their flavor of audio software. 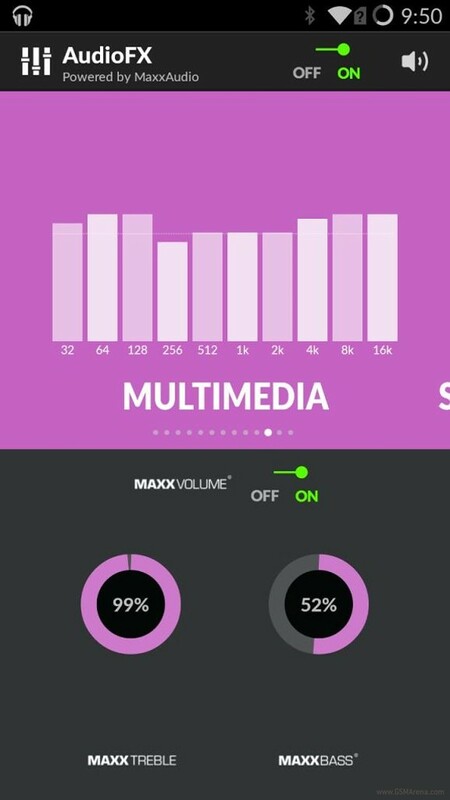 The MaxxAudio suite is an advanced piece of software that enables the production of deeper bass, clearer highs and a generally improved sound quality all around. The new software will be directly integrated within the smartphone's AudioFX for easy access. Even more importantly it will be fine-tuned to OnePlus One's specific speaker hardware, as well as the company's own Silver Bullet headset and the JBL E1+ headphones. The application itself will offer 10 different equalizer presets as well as full manual user control for bass, treble and headphone spaciousness. So if you own a OnePlus One or are on the lookout to buy one be sure to check the audio quality when the update hits in January 2015 and report back with any interesting findings.